What position do The Syn hold in progressive music circles? Legends or also-rans? Originally existing between 1965 and 1967, releasing two singles, they are chiefly remembered as a precursor of Yes, having had Chris Squire and Peter Banks in their ranks (as well as Andrew Pryce Jackman who worked with Squire on his Fish Out of Water solo and Yes’ Tormato). When The Syn folded Squire and Banks joined Mabel Greer’s Toyshop who later became Yes. And the rest is history. But no. In 2003 singer Steve Nardelli and drummer Martyn Adelman reconnected, met with Banks and discussed reunion, the death of Jackman acting as a catalyst. 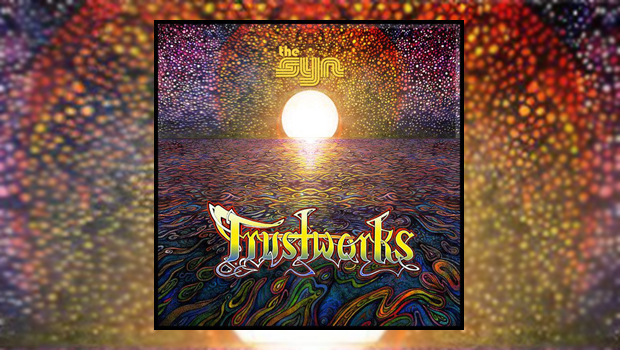 The Original Syn album of archive ’60s material was released but with new songs in preparation for the debut Syn album, Banks left acrimoniously (the statement on his website entitled “Deception and Lies: A Time and a Need for Provocation”). Squire got back on board and the very enjoyable Syndestructable was released in late 2005, also featuring Gerard Johnson and brothers Paul and Jeremy Stacey. A live band, including Francis Dunnery and Gary Husband, was due to join Alan White’s band (White) and Steve Howe on the ‘More Drama’ Tour in 2005, with Squire, Howe, White and Geoff Downes playing a set of Yes material at the end, Nardelli and Kevin Currie of White handling vocals, but the tour was cancelled at the last minute. The Syn debuted live at the end of 2005 and played some dates in 2006 with White on drums but a U.K. tour in May was also cancelled, Squire announcing his departure and underlining the fact that he was “no longer involved with that band despite reports to the contrary.” Nardelli assembled the Armistice Day album featuring one new song and some live material from a radio station session and Johnson left (again acrimoniously). Squire discouraged fans from purchasing the album and legal action saw release delayed until 2007. At that point Nardelli announced that “The Syn today is me and the musicians I chose to play with” before forming a new line-up with Dunnery and keyboardist Tom Brislin (who worked with Yes on the Masterworks orchestral tour). Big Sky appeared in 2009 with echolyn’s Brett Kull and Paul Ramsey but the supporting U.S. tour was cancelled after six shows, Nardelli having to return home due to his business commitments. Again, the band broke up acrimoniously, Kull commenting: “Paul, and I are no longer playing in The Syn nor having anything to do with it. Bad organization, bad mojo, bad energy”. A pattern appears to be forming. The final performance at 2009’s ROSfest was recorded and finally released in 2015, coupled with the jaw-droppingly self-aggrandising The Syn in the 21st Century DVD “documentary”. With a businessman’s knack for self-promotion, the band’s website is likewise littered with words such as “legendary” and “visionary” to refer to Nardelli and his band, if The Syn can actually still be called that. And so to current events – although they have taken a long time to come to fruition. 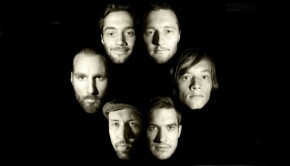 In 2010 Nardelli announced a collaboration with Swedish band Moon Safari who would in effect become The Syn. Anyone familiar with Moon Safari will know what a quality band they are and, due to the high esteem in which they are held, there was much concern for what might happen as a result of this arrangement. Scheduled for release in 2011 but delayed due to Nardelli’s business interests, Trustworks has finally arrived in 2016 with production by Jonas Reingold of The Flower Kings and Karmakanic. So far so good, everyone involved seems to be positive about the project, and long may it continue. It’s easy to be (ahem) Synical and somewhat jaded about Steve Nardelli’s endeavours when you consider the history of his band, the endless self-publicising and hyperbole getting in the way of the music. As a successful entrepreneur, that music is always going to play second fiddle to his far more lucrative business interests but he continues to surround himself with musicians of real quality and talent to firm up the “legendary” status of The Syn. Remember, they only released two singles during their original run. This somewhat self-serving stance has led him to Moon Safari – a much more humble and modest collective – who supply their genuinely unique skills to proceedings and make Trustworks a fine listen. From an idea of Reingold’s, the album is introduced by the words of Swedish Prime Minister Olof Palme and Mahatma Gandhi — both of whom were assassinated – the title track opening the album proper with the ’60s vibe you might expect, sitar adding to the atmosphere. The vocal harmonies are pristine, sometimes with a Beatles feel to them, and the instrumental choices spot on throughout. Nardelli’s voice isn’t the strongest but he has an engaging individuality and it works well within this setting, although the thematic importance of trust in relationships might get some of those mentioned above raising a quizzical eyebrow. 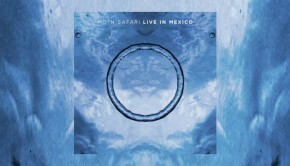 With the basic songs written by Nardelli and then developed with Moon Safari, the final result has much to recommend it. As you would expect, Moon Safari’s five-part harmonies and attention to detail elevate the album no end. Reingold’s production gets the most out of the material and keeps it within the chosen sound frame, the upbeat Revolution Now suggesting ’60s Yes; “Good times are coming, Peace in our lifetime” indicative of the positive nature that Nardelli is aiming for. The Mellotron flutes and strings of This World Of Ours are evocative when pitched with the supreme harmonies, the material tailor made for Moon Safari as evidenced in the finale. Agreeable acoustic flavours colour Something That I Said and it seems that Trustworks is settling into a steady rhythm. Pontus Åkesson adds a lovely electric solo, as he does in Never Too Late, although in a very different style, the country twang throwing things sideways as Nardelli almost recites the verses, the song heading into psychedelia by the end. Oddly, during Never Too Late the volume drops on my CD copy (Jonas? ); strange but luckily we have knobs to fix such things and off we go again into Lucifer Hesitating which is pure Moon Safari and one of my favourites here, piano and organ working beautifully in the verses, the breathtaking harmonies sweeping in with the chorus and reaching for the heavens. Nardelli isn’t as sharp as he might be here but the result is still highly enjoyable. A harder edge permeates The Wheel and the album benefits as a whole, the ’60s vibe slightly diluted. Finally, a 15-minute epic in Seventh Day of Seven which possesses an eerie acoustic atmosphere embellished by dancing piano. And then the band ignites in an upbeat cascade, the driving, musical and imaginative chorus pulling back into a sinister bolero at the midpoint. The instrumental sections are well realised and the whole is an engaging listen, another beautiful solo from Åkesson giving it and the album a soaring conclusion. So overall a very nice album that starts well and improves in the second half, Steve Nardelli has made the right choice in working with Moon Safari who give Trustworks their all. They have stuck with it through the many years where Nardelli was otherwise engaged and their contribution, together with that of Reingold, makes it shine and more than justifies the recording. But is it just me or is the absence of some kind of a dedication or mention of Chris Squire in the booklet a strange thing? Whatever your thoughts on The Syn and Mr Nardelli, you have to admit that Trustworks is a lot better than Heaven and Earth! And I think Steve would take that. 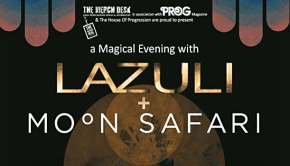 [You can see Moon Safari in the U.K. in the coming weeks with live performances in London, supporting Yes at the Royal Albert Hall on 10th May and playing their own show at The Borderline on 11th May.